Shawn P. Conlin – Grammargeddon! I’d enjoy football more if teams had names like this. 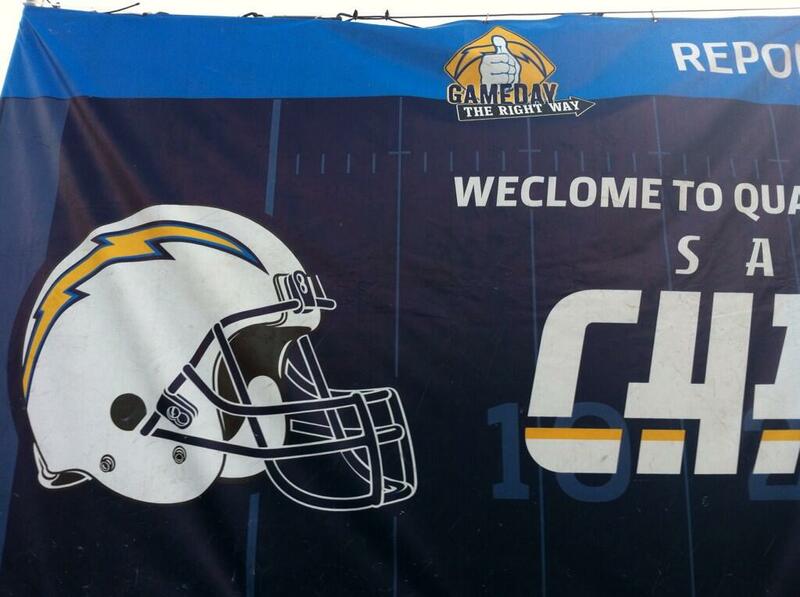 Just a day later, a friend alerted me to another football-related typo. At first I didn’t believe her; the mistake seemed too ridiculous. I thought she’d fallen for Photoshoppery. But alas, it’s true. 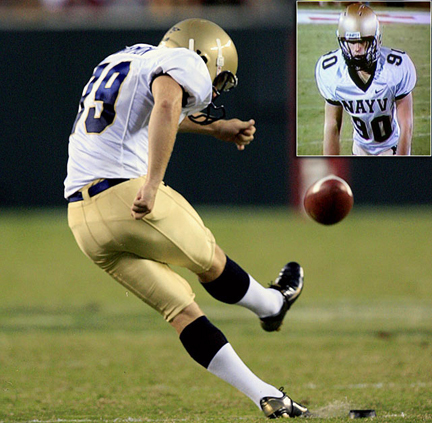 The Notre Dame Fighting Irish played a home game against the Temple Owls. 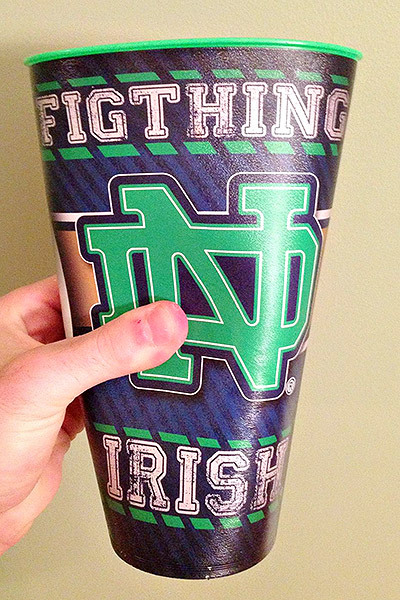 As a treat for fans, Notre Dame made a souvenir soda cup with the team’s nickname emblazoned around the top. Only someone transposed two letters, turning the team into the Fig Thing Irish. Dennis Brown, spokesman for the university, said they weren’t going to blame anyone, and the cups would be fixed before the next home game. I say leave them as is. Who wouldn’t want to watch the Fig Things take the field? 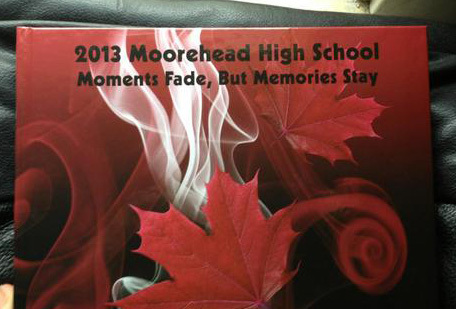 “Moments Fade, But Memories Stay.” That’s the motto on the cover of the 2013 yearbook for Moorhead (Minnesota) High School. True enough. In fact, students this year will have a special kind of memory. The name of their school is misspelled on the cover of the yearbook. The cover says “Moorehead High School.” And Moorhead also happens to be the name of the town, so you’d think it would be the kind of word that’d be hard to get wrong. The district doesn’t have the money to reprint the yearbooks. 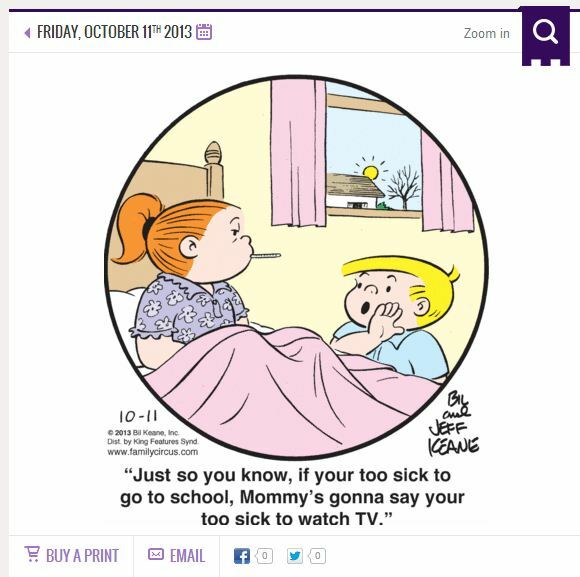 Instead, they’re talking about putting a sticker over the error. At least it will give the students something to write about in each other’s yearbooks when they get tired of 2 COOL 2 BE 4 GOTTEN. First, a man in Washington state used his tractor to plow a marriage proposal into a field. The letters were 150 yards tall. He flew his girlfriend, Jody, up in a plane so she could see the popped question from above. Unfortunately, his tractor didn’t have a spellcheck—he had plowed the first letter of her name backward. And finally, the Toronto Sun newspaper recently ran a correction notice to fix an error about whether teachers had been paid during a work stoppage. Unfortunately, they now need to run a correction about the correction. Is there a lesson to learn here? Maybe it’s just that no matter how bad your typo is, at least it’s not plowed into the ground 150 yards tall. Probably. I can’t vouch for all of you. Some mistakes are harder to erase than others. 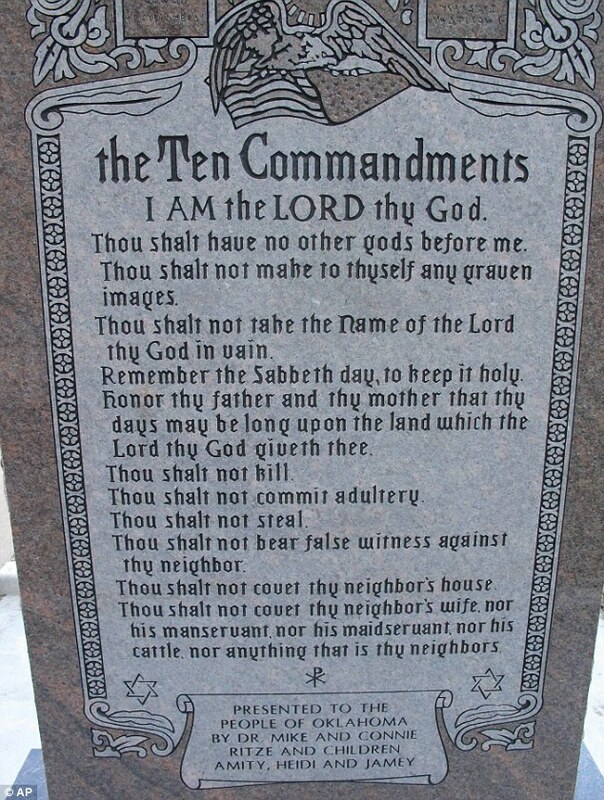 In Oklahoma, state representative Mike Ritze sponsored a bill (and donated money) to install a granite monument of the Ten Commandments on the grounds of the state capitol building. The monument is 6 feet tall and 3 feet wide, and it weighs 2,000 pounds. One potential problem is that it might invite a lawsuit from the American Civil Liberties Union because the monument violates the separation of church and state. But perhaps of more immediate concern is the fact that the granite contains a few spelling errors. The photo comes from this site. No insightful commentary from me. Just go enjoy the gallery. 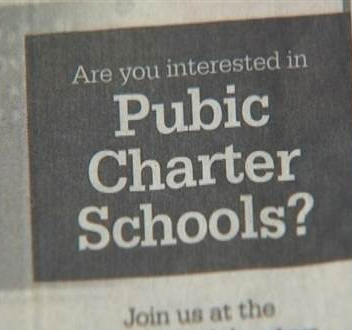 And be glad that your typos aren’t usually displayed for all the world to see (and photograph).